✔️ADD 170% EXTRA BATTERY LIFE - For your iPhone XS Max without being tethered to a wall plug. The Fiora™ iPhone XS Max Battery Case is perfect for Apple's largest screen and iPhone yet ever, the iPhone XS max. Using the powerful A12 Chip and 6.5 Inch Super Retina Display, you the extra battery will come in handy. 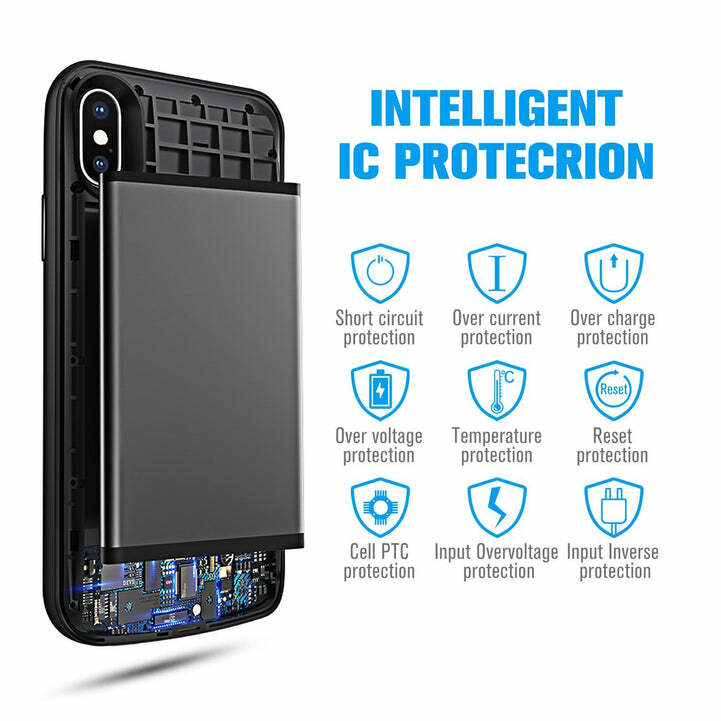 Also the Fiora iPhone Battery Case is great for traveling or those times you need that additional battery life when your charging is not accessible. 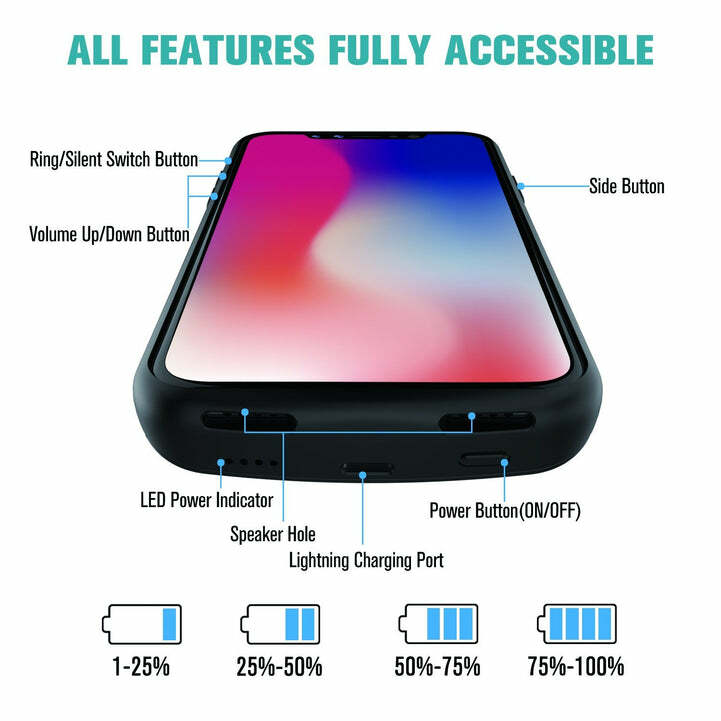 It's great for day to day use as the charging function will always charge your iPhone XS Max battery first, and then will autonomously change to charge the iPhone XS Max charging case after your original battery has fully charged. ✔️Add 150% extra battery life for your iPhone XS Max without being tethered to a wall plug.